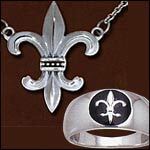 We carry Renaissance Jewelry, Medieval Jewelry and Celtic Jewelry. You will also find Bracelets, Brooches, Chain, Charms, Earrings, Anklet, Pendants and Necklaces. We carry items that will make a unique gift for anyone. Anklets made from Sterling Silver to Chainmail, Simple to full footlets. Find them here. Belly Dance Jewelry- Coin Belts, Bra Covers, Drapes, Earrings, Necklaces & Head Pieces. Everything a Belly Dancer needs to customize their look! We have bangles, armbands, cuffs and celtic knot items. Come in and have a look. These will make a great gift. We have a great selection of brooches that will enhance any Medieval or Renaissance clothing. Welcome to our collection of unique fantasy chainmalle inspired jewelry using handcrafted ancient medieval processes and techniques, that ensures comfort, durability and lightness of design elements. We have Chains of all Sizes that will fit all your Renaissance and Medieval Jewelry needs. Charm your way with these charming items. This will sure grab everyone's attention and be amazed and impressed. A charm every man, women or child would love to own. Come in and see our Cloak Pins, Cloak Clasps and Button Closures. Our Cufflinks are made from highest quality pewter or silver and are the perfect finishing touch for any garment. Historical Earrings and Gothic from sterling silver and English Pewter. Only the best for our customers. Here you will find matching Jewelry Collections to complete any outfit for any occasion. You will find Necklaces, Pendants, Bracelets, and Earrings. Skull and Cross Swords Necklace with menacing red crystals gaze out over the high seas, looking for the pirate’s next victim. Our Pendant Sliders are the perfect Jewelry accessory made of Solid Sterling Silver. Our Sundial Jewelry allows you to reconnect with the earth and tell time naturally using the sun and stars.